Driving in fog and mist requires special caution. It is believed that this environmental road hazard is one of the most dangerous. It is challenging to drive in heavily congested traffic, but you should be even more vigilant when sharing the road in foggy conditions as visibility can seriously deteriorate within a matter of seconds. Driving in foggy conditions requires special safe driving techniques to help you Arrive Alive! Mist and Fog - What, When and Where? What is Fog and what is Mist? According to Wikipedia - Fog is a cloud that is in contact with the ground. Although mist and fog look like smoke, they are actually tiny drops of water floating in the air. They can be described as clouds that have formed at ground level. Fog is distinguished from mist only by its density, as expressed in the resulting decrease in visibility: Fog reduces visibility to less than 1 km, whereas mist reduces visibility to a larger distance. When can we expect to find fog? Fog occurs because the air has become cooled down below its dew point. The difference between temperature and dew point is generally less than 2.5 °C or 4 °F. The level and thickness of the fog will vary greatly depending on the prevailing environmental and geographic conditions. It is important to be alert to the changing thickness of the fog. Where can we expect to drive in fog? During cold weather you can expect to find fog early in the morning, particularly where the road lies in an area where there is plenty of moisture or near a lower portion of the ground. This could most likely be near river valleys, lakes and harbours. Mist usually occurs near the shores, and is often associated with fog. Mist can also be as high as mountain tops when extreme temperatures are low. Reduced visibility as road users struggle to see with any clarity. Failure by drivers to change their driving habits for the inclement conditions. Insufficient following distances as cars tend to follow each other a little too close.  Drivers are driving at inconsistent speeds. Some drivers tend to drive too fast believing they can escape the fog sooner if they go faster. Failure from traffic authorities to close roads shrouded in thick fog. Before you drive, and during your trip, check weather forecasts and road reports. If there is a weather warning or reports of poor visibility and driving conditions, delay your trip until conditions improve, if possible. Only drive if you really need to drive in these conditions - do not gamble by going on an unnecessary drive. Fog can be quite thick, thus you might elect to wait until the mist lifts before going on with your drive - Driving in fog at night is even more difficult. Check your windscreen to ensure that it is clean and allows for the best visibility. You will need to test your fog lamps. Know how to defrost your car. If the windshield starts to fog on the inside, open a side window slightly and turn the defroster to a higher speed. If you have an air conditioner, use it to reduce humidity and moisture collecting on the window. Familiarise yourself with your front and rear fog lights - know how to switch them on and off - and use them when appropriate. When driving in fog, reduce your speed and turn on your headlights - Make sure that you can be seen. The lamps should be used when your view is less than 100 metres in front of you - they will increase your view as well as help other drivers see you better. Do not use your high beam headlights during fog. The bright light affects your vision by creating a reflection of the mist, which lessons your ability to see while driving. Don't rely on your parking lights alone: they do little to increase your visibility in daytime fog. Don't use your emergency flasher. Studies have shown that drivers are attracted to flashing lights and tend to drive into them inadvertently. Consider the drivers behind you and what they are seeing. If you drive with your emergency flashers on or keep tapping your brake pedal, you'll make them nervous and they may try and pass you, a procedure that places both your lives in danger. Always control your speed - You need to allow for enough space between your car and the one in front of you. Think about how far you can see and how long it will take you to stop. Use the edge of the road as a guide rather than the centre line, to avoid running into oncoming traffic or becoming distracted by their headlights. Never stop in the middle of the road - you will be rear-ended. Remember that other drivers have a limited sight distance and that fog can leave roadways slick. Signal your intentions early, and when you use your brakes, don't stomp on them. Do not attempt to pass other vehicles in foggy conditions - Remain calm and patient! Look and listen for any hazards that may be ahead - Reduce the distractions in your vehicle. Turn off the cell phone…your full attention is required. At a junction with limited visibility, stop, wind down the window, and listen for traffic. When you are sure it is safe to emerge, do so positively and do not hesitate in a position that puts you directly in the path of approaching vehicles. If you can't drive any further, pull well onto the shoulder, getting your vehicle completely off the road in a protected area from other traffic. Once you have left the road, turn off your driving lights and turn on your flashers so others know you're there but won't think you are driving on the road. Once you are able to continue your journey - Don't speed up suddenly, even if the fog seems to be clearing. You could find yourself suddenly back in fog. Most important is that “not being able to see” is no defence in the event of an accident. If you cannot see - you may not drive!! 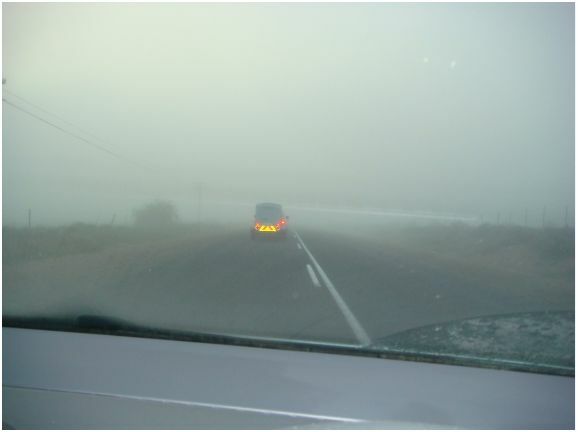 Where visibility is poor - adjust your driving to the conditions and reduce your speed!! 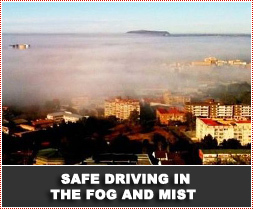 May the suggestions above assist you when driving in foggy/ misty conditions!